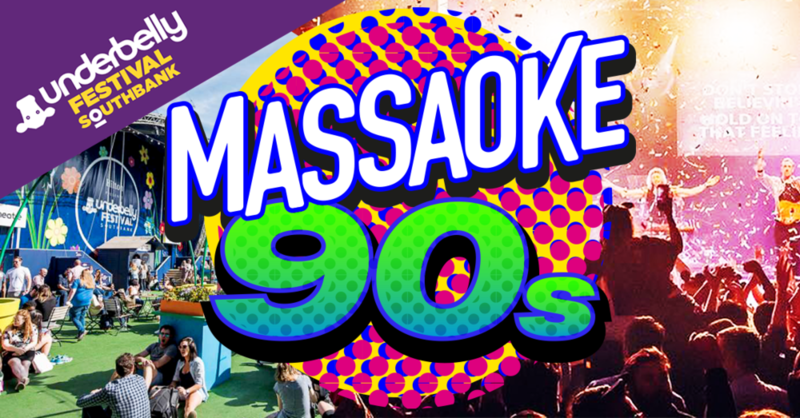 The Massaoke Band are coming to Underbelly Festival on London's South Bank with a hit-filled 90s special on Friday 20th September 2019. Go back to the 90s and sing your heart out in the decade of Oasis and Blur to Spice Girls, Britney, The Red Hot Chilli Peppers (and Barbie Girl!) . They’ve got something for everyone, so whether you like to rock out, rave-on or pull your finest pop star poses, all you need to do is BRING THE SING!